French author Denis Tillinac once said that Champagne is France and he was right. Cause in that bottle of sparkling wine lays all the class, style, sexiness and charm of the French. Drink it and taste those intoxicating bubbles which turn a plain bank clerk into a rebel without a cause, a girl from the province into a princess. It adds flavor, class, nobility to every occasion. And every celebration with it will feel like a royal banquet. It’s magic and myths and fancy parties in a (tall) glass. The term “Champagne” is used as a generic term for sparkling wine, but in the European Union legally only the sparkling wine that comes from the Campagne region of France can be labeled as Champagne. The history of Champagne dates back to the fifth century and the Romans. They were the first to plant vineyards in the Champagne area in northeast France. The name Champagne comes from the Latin Campania and the region was named like that because of the similarities between the province and the Italian Campania, south of Rome. The first recorded vineyard belonged to St.Remi in the 5th century. During that early history of the region and the drink, the wines from Champagne were known as the “vins de Reims” or “vins de la rivere” in reference to the Marne river. In 987, Hugh Caper was crowned King of France at the Reims cathedral and at the coronation banquet, the local wines of the region were served. The cathedral will become the place for coronations in the next eight centuries and that association with royalty will help the reputation of the region’s wine. During the Middle Ages, the wines of the Champagne region were various shades of light red to pale pink. At that time, a bitter rivalry between the Champagne and the Burgundy region developed. Flemish merchants established a trade route to the Burgundy which went right through Reims and the Champenois wanted to offer a “cheaper” alternative to the rich, red wines of Burgundy. The climate of the region made it difficult to produce red wines, even with the addition of elderberries, so the Champenois moved to produce white wines in an attempt to distinguish themselves from the rivals. However, those wines, produced from white grapes, had a dull flavor and spoiled quickly. The most popular wines were white wines made from red wine grapes such as Pinot noir as they had more flavor, aroma, and longevity. The color of those wines varied from grayish to a shade of pink known as partridge eye and it was a Benedictine monk Dom Pierre Perignon who perfected the technique of making a white wine from red grapes. Contrary to popular belief, Dom Perignon did not invent sparkling wine. During his time, bubbles in the wine were considered a fault and Dom Perignon was determined to eliminate them or limit the likelihood of that fault occurring. He believed that red grapes of Pinot noir were less likely to become “volatile” in the spring and produce bubbles. Because of the northerly climate, the grapes of the region would struggle to ripe fully and would often be acid and low on sugar which made these wines thinner than the Burgundies. Also, the low winter temperatures prematurely halted fermentation in the cellars, leaving dormant yeast cells that would awaken in the spring and start fermenting again. This caused, among other things, the release of carbon dioxide gas which, if the wine is bottled, is trapped inside the bottle, causing pressure which would, in turn, would often cause the weak, early French wine bottles to explode. If the bottle survived, the wine had bubbles, something that was considered a flaw. And Dom Perignon was determined to eradicate that flaw. He designed a whole system of aggressive pruning, harvesting, transportation and pressing of the grapes to limit the leaching of the grapeskins into the juice, thus creating a truly white wine from red wine grapes. Funny enough, it was the English who popularized bubbly Champagne. 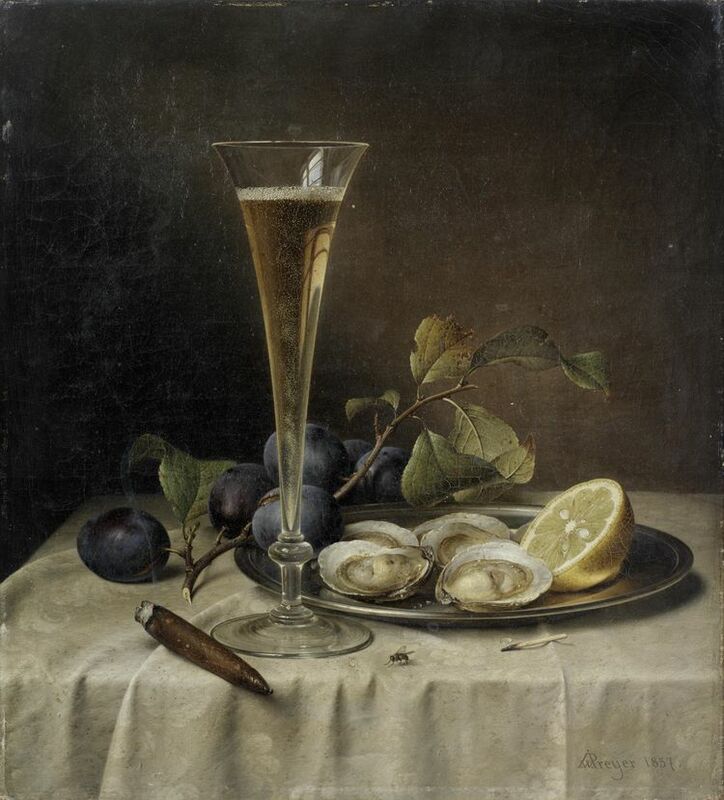 The non-sparkling Champagne became popular in London society of the 17th century thanks to a French soldier, hedonist, essayist and literary critic Charles de Saint-Evremond who promoted the wines of the Champagne region. Soon, the most powerful and fashionable men of London started ordering cases of Champagne. The wine was often transported to England in wooden barrels and merchants would then bottle the wine for sale. English glassmakers produced stronger, more durable glass bottles that could stand the pressure. Also, a cork stopper, once used by Romans but forgotten for centuries, was rediscovered. All this helped to build the pressure from carbon dioxide gas in the bottle turning the non-sparkling wine onto a bubbly delight. The English scientist Christopher Merret believed that the presence of sugar in wine causes the bubbles. This prompted British merchants to add sugar to nearly any wine to produce “sparkling Champagne” even before the French was deliberately making it. 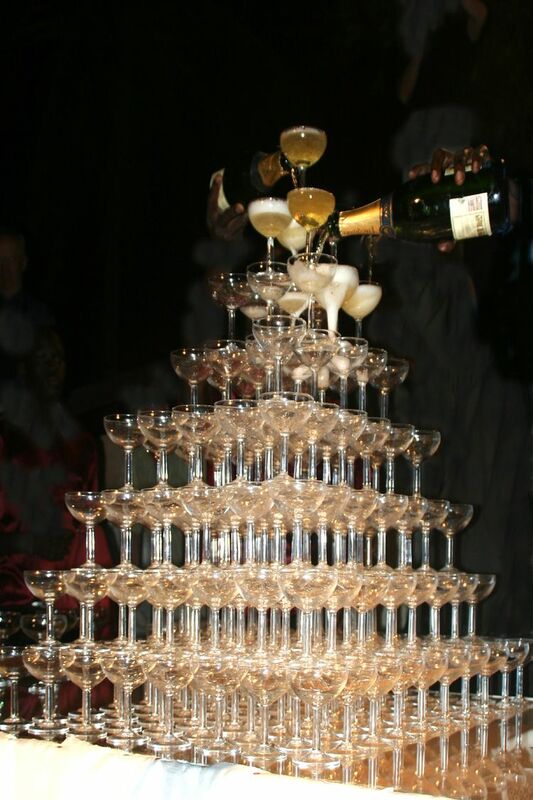 The popularity of the sparkling Champagne grew and soon other European courts began discovering it, including the French. When French King Louis XIV died, his nephew Philippe II, Duke of Orleans became the Regent of France. The duke liked his sparkling Champagne and it featured at his nightly suppers at the Palais Royal. This sparked a craze in Paris for the bubbling wine. Champenois winemakers started switching to sparkling to capitalize on the craze. The French Revolution and Napoleonic wars temporarily derailed the popularity of Champagne. Eager to save their noble clients from the guillotine, merchants altered business records replacing the titles of their clients with “citizen”. Due to roadblocks, sales agents devised creative smuggling schemes. Champagne was introduced to Russia during Napoleon’s invasion when Champagne merchant Charles-Henri Heidsieck traveled on horseback ahead of the French army to Moscow armed with cases of Champagne and prepared to do business with the victor. After the defeat of Napoleon, Russian forces occupied the Champagne region and grew a taste for the wine. Thanks to the Industrial Revolution, the method of making sparkling wine was improved and the production made financially feasible. The British method of coal-fired glassmaking made the wine bottles strong enough to withstand the pressure of the gas. The formula with precise measurements of how much sugar is needed to make a wine sparkle but keep the bottle intact was found. Corks were also improved. Also in the early 19th century, a technique to remove the sediment caused by dead yeast after the secondary fermentation was developed. Madame Clicquot of the Champagne house Veuve Cliquot developed the process of riddling to solve the problem of sediments without losing much gas. This technique involves collecting the sediment in the neck of the bottle and using the pressure of the wine to eject just the sediment, keeping the bubbles intact. This also led to adding sugar-sweet dosage to replace the wine lost during riddling. 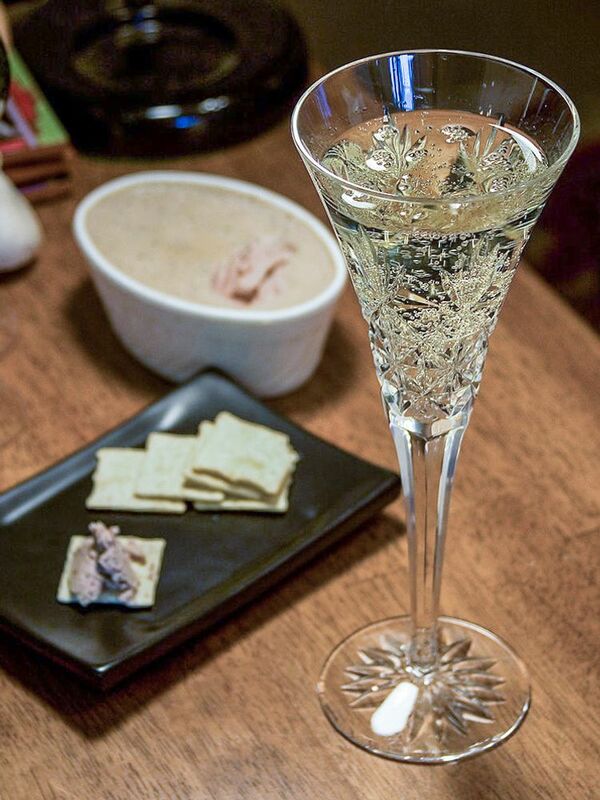 The Russians were in particular fans of very sweet Champagne while the English preferred the driest. Gradually tastes developed to favor less sweetness and today this “brute”, extra dry Champagne is the style that the majority of Champagne is made in. The October Revolution in Russia saw a massive prohibition of Champagne, hurting the business as the Russians were among the biggest importers along with the United States that entered the prohibition era. Also, the merchants drove down the prices of grapes in order to make money, bringing the Champenois vineyard owners to poverty. Production of the faux Champagne was also on the rise, leading to riots and violence. This caused the government to pass a legislation defining where Champagne wine was to come from. The location of Champagne near the Western Front led to the destruction of Champagne production, warehouses and many vineyards in the region in World War I. World War II also brought devastation to the region, but not as severe as the previous war. It was in Reims that the German military commander Alfred Jodl offered unconditional surrender to the Supreme Allied Commander, General Dwight D. Eisenhower. The peace was celebrated with the 1934 vintage of Pommery Champagne. 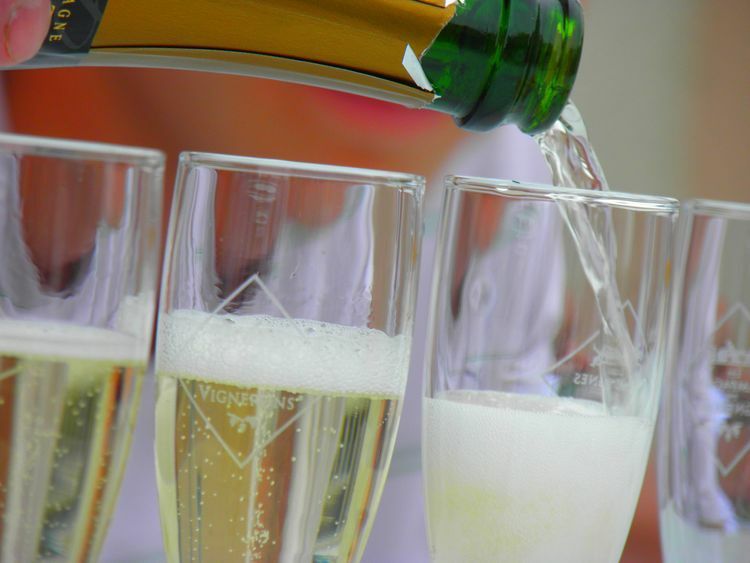 Following World War II the popularity of Champagne surged once more. The term “Champagne” became a brand. 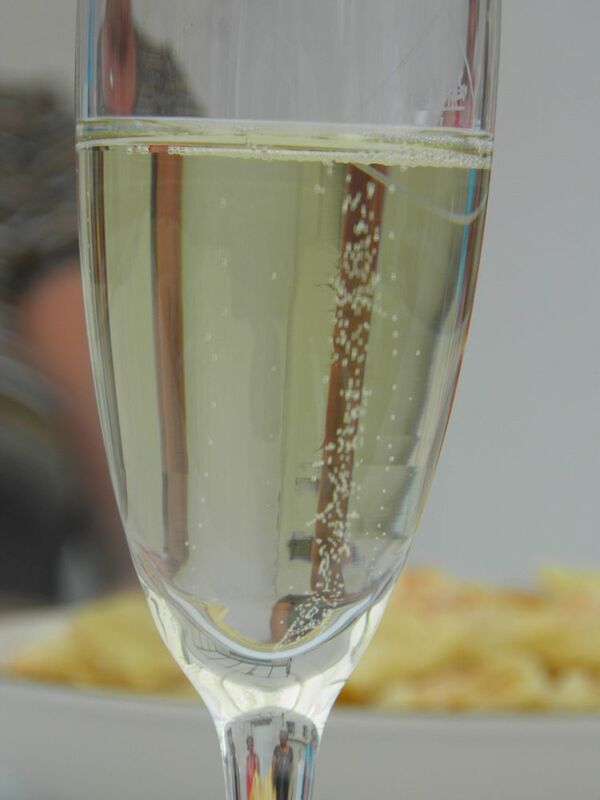 The popularity of Champagne inspired many imitations such as Cava in Spain or Sekt in Germany. France also has its own limitations, the sparkling Cremants. So, if you’re craving for something “Je ne sais quoi” to add to your celebration, a touch of glamour, or if you just want to celebrate life, love, family or friends – then bottoms up! No other drink will make you so intoxicated with magic and the joy of life like Champagne.